Toothaches can be exceptionally painful. Worse still, it can cost hundreds or thousands of dollars to fix your tooth. Until your dentist appointment arrives, you will need to have some way of managing the pain. Your first goal is to get to the dentist as soon as possible. Something that requires a simple root canal now could end up requiring you to remove the tooth altogether if you allow it to fester for too long. Make an appointment and go to the dentist. In the meantime, you can use these painkillers for toothaches to soothe your pain. 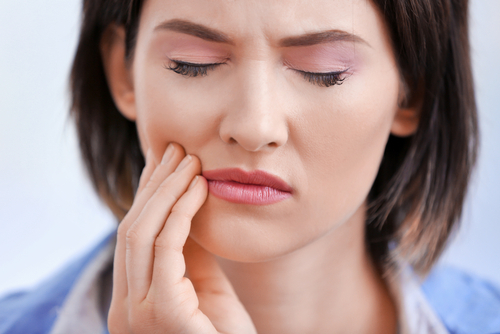 A toothache can occur for a variety of reasons. You may have cracked your tooth or developed an abscess. Likewise, it could be due to pericoronitis, dental decay, sinusitis, acute gingivitis or an inflamed nerve. For your pain to go away over the long run, you have to treat the underlying cause of your pain. In the interim, painkillers can help. Contrary to popular belief, painkillers do not actually stop the pain from happening. What they really do is change how your brain perceives the pain. The painkillers trick your brain into not noticing the pain. Some painkillers also help be reducing inflammation. If you have both qualities in the same painkiller, you can enjoy some of the best results. Depending on what you have to do during the day, you may need a different painkiller. While some painkillers are more effective, they could cause drowsiness, which would not be ideal for driving or a day at work. Aspirin is one of the most commonly used pain medications and anti-inflammatories. Its main ingredient is salicylate. It helps to reduce fevers, limit inflammation and reduce pain. Unfortunately, aspirin also has blood thinning effects and can reduce clotting. This means that it is not advisable if you are already on a blood thinner or if you are about to have your tooth removed. If you have a surgery while you are taking aspirin, it can end up causing you to bleed uncontrollably. Ibuprofen is by far the best painkiller for a toothache that you can buy at the story. It does not have any steroids and is a strong anti-inflammatory medicine. You can buy the generic form to save money or buy a common name brand like Motrin, Nurofen or Advil. Anything that lists Ibuprofen as the main ingredient will essentially work the same way, so you may want to stick to the generic versions to save money while achieving the same effects. Unlike the last two items on this list, paracetamols will not help with inflammation. They are good at preventing pain messages from reaching the brain. If you are unable to take aspirin or a similar drug, you may be able to take paracetamol or acetaminophen instead. Keep in mind that paracetamol and acetaminophen can both cause liver damage—this is especially true if they are combined with other painkillers. In addition, acetaminophen and paracetamols can also cause immediate liver failure if they are consumed with even a moderate amount of alcohol. For most toothaches, you will need just 400 to 500 mg to reduce the pain. Do not drink or use other painkillers when you use these drugs. An opioid is a type of narcotic that is known for being extremely strong. Morphine is an example of this painkiller classification, and most opioids can only be prescribed by a doctor. In addition to having negative side effects, opioids can be extremely addictive. Because of this, they should only be used for a short amount of time if they are used at all. Most of the time, opioids will not be prescribed for toothaches. There are different types of gels and liquids that you can buy over the counter that have anesthetic properties. These are applied directly in the mouth and help to numb the pain. Some over-the-counter medication options include DenTek Stix, Orajel and Anbesol. They only relieve pain temporarily however, so you will need to keep them on hand for when the medication wears off. Many people do not like to use painkiller medication. Instead, they choose to use natural remedies to treat the pain. 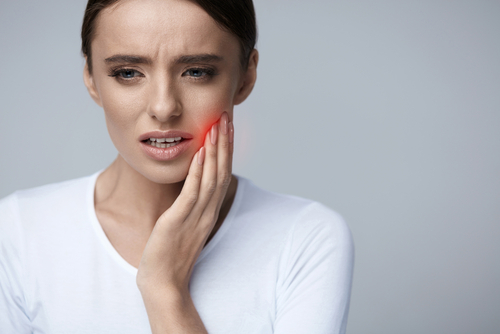 While these home remedies can help the pain, they will not remove the underlying cause of your toothache. To actually remove the toothache, you will still need to go to the dentist to have the problem fixed. Garlic has natural antibiotic properties that allow it to kill off some of the infection causing the toothache. You can use a crushed clove on the affected area or just chew a clove or two. You do not want to use garlic for too long on any single occasion though because it can end up burning your gum if it is applied for too many minutes at a time. Another option for treating toothaches is warm salt water. All you have to do is blend half a spoonful of salt into a glass of warm water. Gargle with the salt water for one minute, several times a day. This will help to kill some of the bacteria and germs while naturally reducing swelling and inflammation. 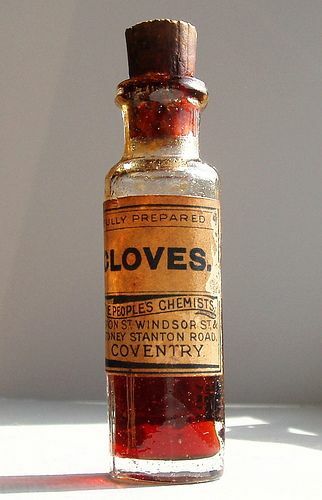 Cloves have been used to treat toothaches for thousands of years. They are a natural antibacterial, anesthetic and anti-inflammatory herb. They can help combat the infection while relieving the pain. You can grind up clothes, mix them with olive oil and apply it to the affected tooth. You can also blend clove oil into water to use as a mouth wash or apply to a cotton ball before rubbing it on your tooth. Salt and pepper can help to kill bacteria and pain while reducing inflammation. Use equal parts of salt and pepper with a few drops of water to create a paste. Apply it on your tooth and allow the mixture to sit for a while before rinsing your mouth. Onions have antiseptic and antimicrobial properties that help them kill germs while reducing pain. Chew an onion for a while or place it directly on your tooth if you cannot chew.